The secret to becoming a successful forex trader is the ability to maximise your gains and minimise your losses. This is easier said than done. 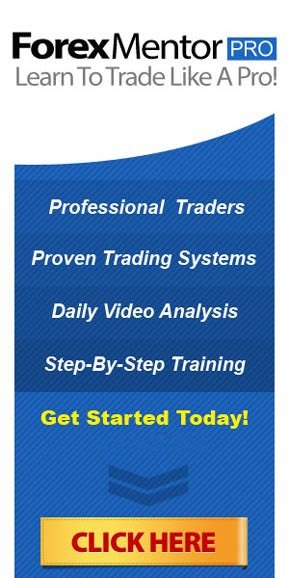 In my 1st month trading forex I won 65% of the trades and yet somehow managed to lose money. Obviously my losses were bigger than my wins. This is a common problem for the new forex trader. The solution is to look more closely at your fx trading style. I was getting out of trades too early and my losses were too high. Conventional wisdom says that you should not enter a trade unless your potential gain is at least double your potential loss. Thus, your risk:reward ratio is 1:2. Seems easy enough, but how can the new trader determine what is the potential gain in a trade ? I use a combination of indicators and logic. Unfortunately there are a myriad of different things we need to consider. These can also vary depending on the time-frame we are trading. 1) Average daily range. 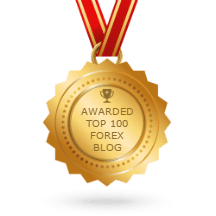 Say the gbp has moved 80 pips so far today and the average daily range is 100 pips. I would not take the trade if I was expecting price to extend beyond that limit. There are always exceptional days in forex when the movement can be double. But the % likelihood says that 100 is more likely. Therefore to risk 50 pips to win 20 is a no go. 2) If your potential trade is only 30 pips away from previous strong support or resistance, this could be a trend line, a double top/double bottom. A strong psychological level, perhaps $1.50 to the gbp. 3) Equally, fibonacci lines are often areas that price will bounce off, as are pivot points and bollinger bands. 4) Counter trend. More conservative traders will only trade with the trend. Your potential trade has lots of reasons to enter, but the trend is in the opposite direction. 5) Personally I never take a trade if price is near to lots of emas on different time-frames that it has to break; especially the 200 ema. This also depends on the direction of the emas. For example, if I was looking to long a pair and the 200ema was pointing down or even flat I would not take the trade. However, if price has hit the ema a few times and the ema has now turned up I would be more likely to consider the trade. Reasons to consider why we WOULD take the long trade. Price has moved more than the average daily range, but as price is retracing there is a potential gain of 100+ pips back to the 1.5330 area. The 5/8 emas have crossed up and price has broken and closed above the 21 and 34 emas. If it confirmed a break above the 200ema and the 50% fib I would take the trade (assuming that there is nothing major in the way on other time frames). Again imagine we are at the illustrated green candle. My stop would need to be 70 pips away (below 78.6% fib) and yet price is unlikely to break the 200ema/50% area. Risk 70 pips, potential gain 0. (If price broke and closed above the 200ema and the fib I would take the trade. Put my stop in 1.5160 area. This would give me a risk of approx 50 pips for potential gain 120). Price has spiked but failed to break the 200 ema. Price has respected fib levels earlier in the day. It stopped 4 times at resistance on 61.8% fib and has now stopped – to the pip – at the 50% fib. Some days price seems to stop at every fib level. The trend for the day is down. Often price will pullback to the 50% fib area and then continue back down. All the emas are pointing down. Why We Should SHORT here ! Our stop loss need only be 10 pips the other side of the 50% fib and price has already moved 100 pips lower today. Thus our risk reward is 10 to gain 100 pips. Incredible risk reward that does come along quite often. The difficulty here for the novice trader is that as price is going up and everyone seems to be buying, a new trader would be scared to go against the herd. All the reasons above for not taking a long ! See Below the Result of the short trade: 200 pip move down from a 10 pip risk, in other words 1:20 risk reward ratio! Here is a great example of a trade that I predicted on twitter in February of this year. This is on the daily jpy/usd. Price twice broke the 34 ema in this 6 month period, but on both occasions bounced back off the 55 ema. Thus the 55ema can be said to have been in control of price on this pair. Finally price broke above the 55ema and notice how the 34 and 55 emas are rolling over from a steeply downward trend to a potential upwards move. The great thing for me with this trade is that in my mind when price breaks the 55ema its next stop is the 200 ema (top arrow) which was 600 pips away. Risk reward was brilliant. My stop only needed to be some 60 pips just below the 55ema. Hey it held price down for 6 months, no reason to think it would not be equally difficult to break back down: resistance becomes support. Many cynics think that technical trading is just mumbo jumbo ( I used to think the same), but this move was logical and predictable for me. Also note how price struggled for the following 10 days or so at this 200 ema area. Unfortunately, despite my brilliant prediction ! I only managed about 250 of the potential 600 pips as I moved my stop too near (twice), but that is a different story. I hope this gives you insight as to what to look for when taking a trade and the importance of having a risk reward ratio of at least 1:2.